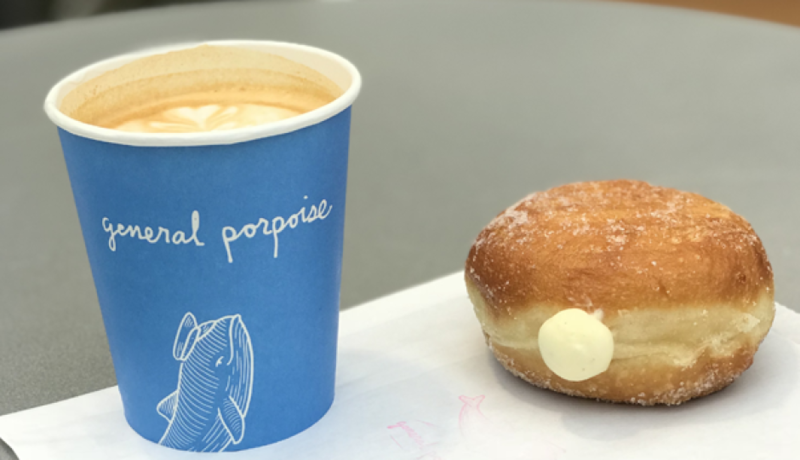 In addition to an indoor forest, a fernery, and living walls, doughnuts and coffee are available for purchase at General Porpoise. This cafe is a part of the Sea Creatures restaurant community which includes Seattle favorites like The Whale Wins, and The Walrus and the Carpenter. We are proud to work with James Beard award winning chef Renee Erickson to be able to offer amazing food in an environment that not only nourishes the body, but feeds the soul. General Porpoise is open to the public during the weekend visits days and during HQ tours. 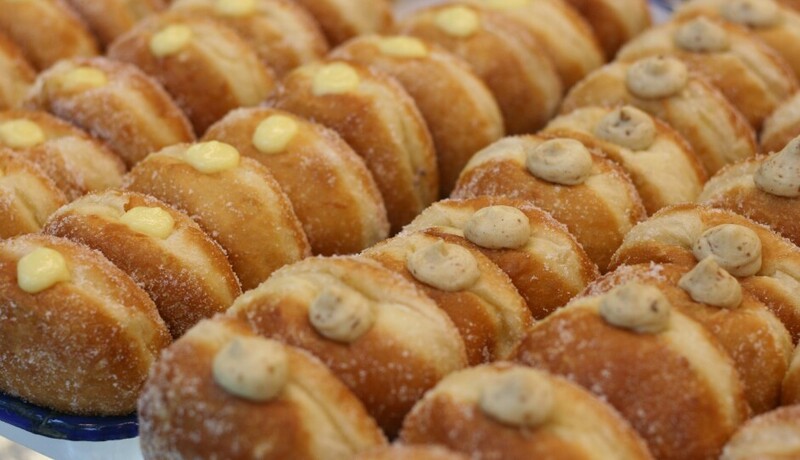 Doughnuts at General Porpoise are made with fresh eggs from La Ferme des Anes chickens and are filled with seasonal jams, jellies, curds, custards, and creams. Expect classic flavors like vanilla custard or berries and cream, as well as new favorites, like peanut butter and jelly, roasted lemon curd, apple butter, and chocolate marshmallow. 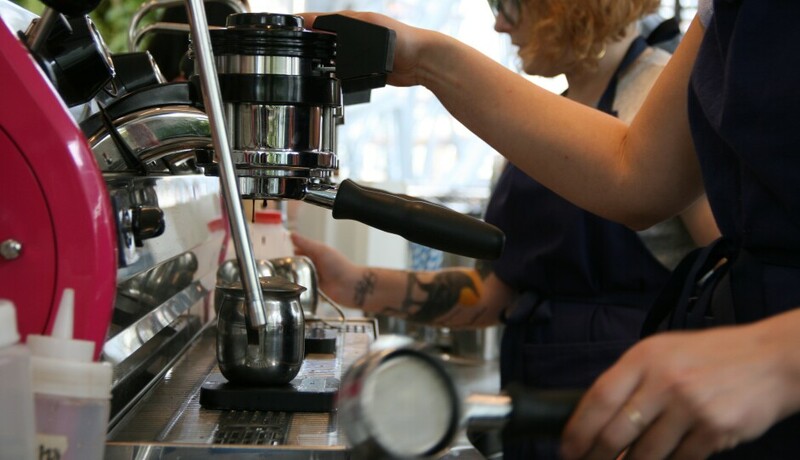 In addition to doughnuts, General Porpoise serves top quality coffees from multiple rotating roasters. There is also gelato available every day. Espresso, pour over, drip, and draft cold brew are all available. Small batch draft sodas, draft sparkling iced tea are served as well. General Porpoise is located on the 2nd level of the Center Sphere. Visit www.gpdougnuts.com for preorders and more information. Check out their sister locations in Seattle here: www.eatseacreatures.com .